Yarrah Organic Sensitive Chicken is a gluten free, organic and wholesome meal with 24% chicken! 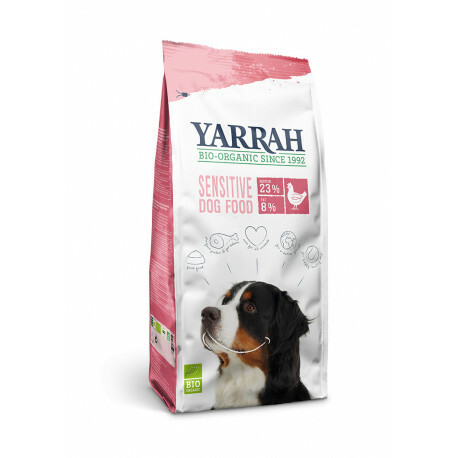 The exclusive use of high-grade, easily digestible low-allergen proteins (chicken only) and carbs (rice only) makes Yarrah Sensitive easy to digest and kind on the stomach. Available in 2 and 10 kg bags. All of our nutritionally balanced recipes contain all the essential vitamins and minerals your dog needs to live a healthy and active life. 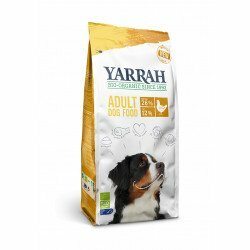 Yarrah Organic Dog Food Adult is specially developed for adult dogs (1-7 years). The combination of chicken and cereals makes Yarrah Adult highly digestable and minimises the chance of developing allergies and stomach problems. Available in 2, 10 and 15 kg bags.